This device meets or exceeds the requirements of NEC 250.21(B), NEC 250.167(A), and CEC 10-106(2) for ground detectors in ungrounded systems. 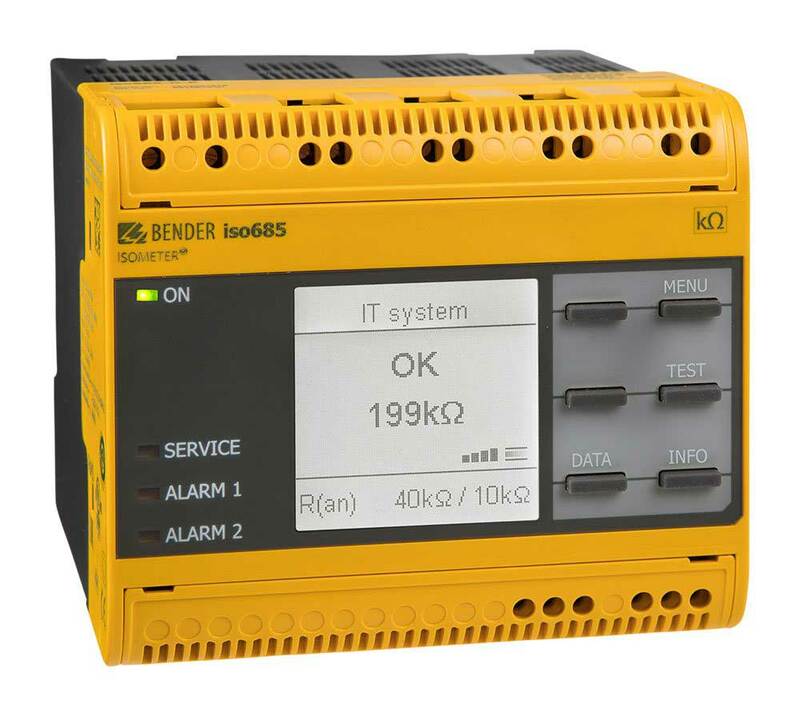 The iso685 is the latest generation ground-fault detector for ungrounded AC and DC systems, as well as systems with power conversion equipment such as variable frequency drives and inverters. Using the latest in monitoring technology, the iso685 provides accurate readings on virtually all types of systems, with simple installation, setup, and operational features. The iso685 connects to systems up to 690 VAC / 1000 VDC, with optional accessories extending this range up to 12 kV. Ground faults are detected by measuring the system's insulation resistance, allowing for detection and trending of developing ground faults before leakage current may be present. Predefined profiles simplify initial setup and tailor settings to application-specific requirements. Measured values are displayed in real-time on the device's on-board display. The on-board isoGraph feature allows for trending the system's insulation resistance over time, giving technicians new insights into a system's overall health. No additional software is required. All models are available with additional climate and mechanical protection. Refer to datasheet for more information.